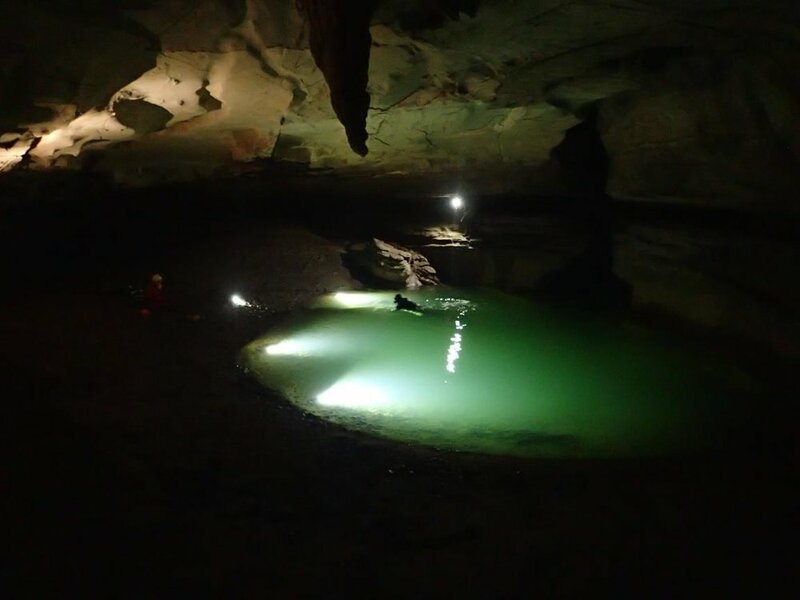 Off a back road somewhere in Northern Alabama lies a spring cave that inside houses a variety of formations, breakdown rooms, and rimstone pools. Explored by cave diving legend Sheck Exley in the early 90's, the cave has now been extended well passed his ~150' EOL. Jason and Canadian Peter Norris first explored the cave in 2014 after caving in a nearby dry cave. 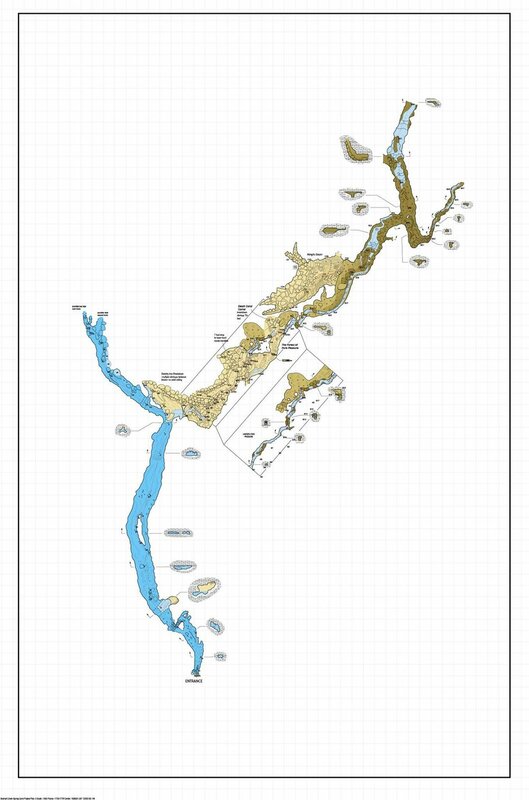 They extended the line to 670’, and found the first dry room, though they did not exit the water as they were not equipped to dry survey at the time. A few months later, Christina Richards joined Jason when he extended the line to the west beyond the large dry room. The underwater passage passed the sump room continued another couple hundred before the passage was blocked by breakdown. 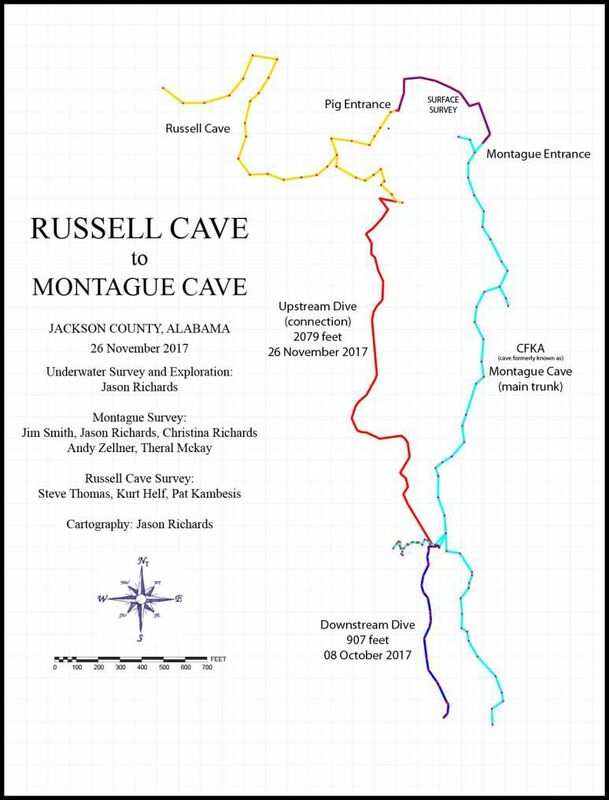 I was invited to join project leader/cave explorer Jason Richards to dive this cave back in April 2017. The cave entrance is a pretty significant restriction, requiring a tank be removed if diving anything larger than LP50's. After getting into the cave, we saw the line was scattered throughout the cave. Luckily Jason brought along a reel to re-line the cave. Visibility was pretty good for TAG standards, about 25'. We ended up relining the cave back to around 500’ or so before turning around. The cave is rather shallow, with a max depth of 14' and average depth of about 4'. The cave passage is fairly large once getting through the entrance, only a few small spots including a 90 degree zig zag through some breakdown (where Sheck turned). In May during the SERA Cave Carnival, we came back prepared to get some video, allow Jason to sketch, and finish running the line to the sump room. The bright video lights aided Jason in sketching and we were gifted with some unheard of 40-50' visibility! Once reaching the end of the line from April, I tied on my small 150' jump reel thinking we were just a 100' shy of the sump room. I quickly ran out of line though, but luckily Jason was prepared with a full reel to tie on and continue with. We reached the sump room and ended the line by tying around a stalagmite found in a large rock just out of the water. Before checking out the room, Jason wanted to continue on into the sump until the underwater passage ended. Jason tied on the reel and away we went. We made it a fair bit further than him and Peter Norris did many years ago. The remnants of their old line was scattered around the passage. Jason ended the line at a pile of breakdown but noticed a possible lead around the breakdown. We swam back to the breakdown room to look around some. We doffed our gear on the sandy beach and walked around the large room. In the back of the room it looked as though a possible climb up could lead to a large room above. The climb up was pretty significant and drysuit boots (socks in Jason's case) weren't going to cut it. After some more searching we found a small passage that lead to another large room parallel to the sump room we had surfaced in. This room had a steady stream flowing through with some incredible flowstone that lead up to some dry break down. 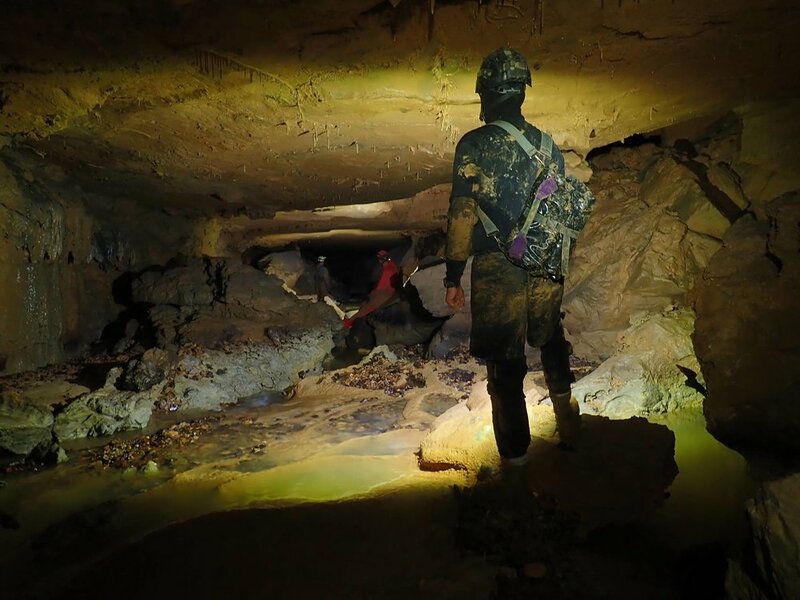 We managed to crawl around the edge of the flowstone and up to the dry breakdown passage to what looked to be a solid lead heading up to the large space we saw in the sump room. Due to time constraints, lack of dry cave attire and survey gear, we crawled back to the sump room and headed out. Plans were made to check out the dry lead, in proper dry cave gear in the next few weeks. 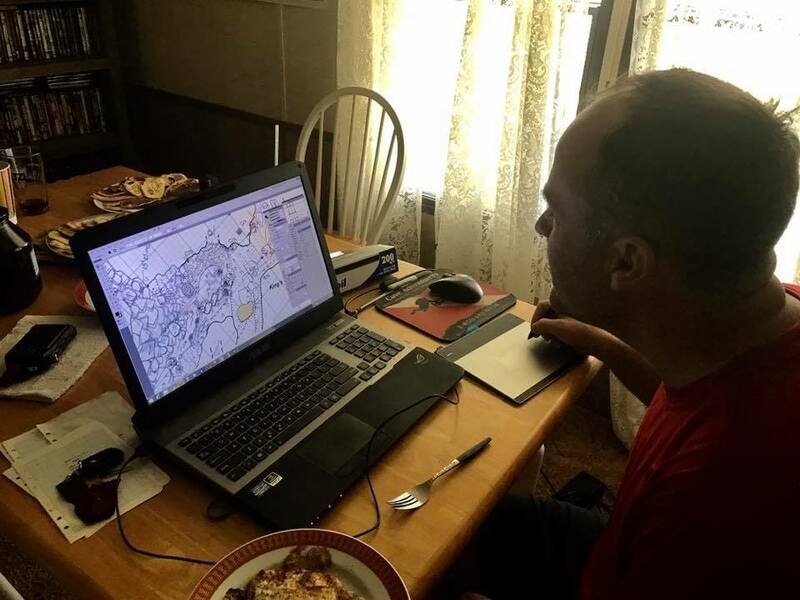 On Saturday June 17th, I made the 4.5 hour drive down to AL to meet up with Jason, Chrissy Richards (sump diver, survey team leader) and Marbry Hardin (long time TAG caver/cave diver) at the spring. The plan was to wear our dry cave gear under our drysuits, swim the ~670’ to the sump room, doff our dive gear and drysuits, and begin surveying and exploring the dry passage. This proved to be an interesting task for me given my little actual sump diving experience. I've dove sumps but never did much dry caving after reaching the end, and never wore dry cave gear under my suits. I managed to fit my drysuit undergarment over my caving overalls, polypro top and knee pads. Because my boots are sewn into my drysuit, I come up with a method to get my dry caving boots back to the sump to wear once shedding the dry suit. I did not prepare for the positive buoyancy I'd gain from my caving gear and as a result was "cleaning parts of the ceiling" on the way in/out. For this dive I brought my set of 95's that were filled to their working pressure of 2400 (NOT cave filled). This didn't help my buoyancy issue, neither did my floaty caving boots clipped to my rear d-ring. Visibility was about 40' this dive, which is still pretty remarkable by TAG standards. The four of us made it to the sump room without issue. After getting our dive gear off, Jason climbed up the lead in the first sump room and confirmed there's passage above. We then began surveying, starting with the sump room. I had never ran instruments for dry cave survey so I was pretty stoked when given the instruction and opportunity to learn. To my surprise it wasn't too difficult, but definitely took a few stations to get the hang of it. While Chrissy and myself would shout out the numbers, Jason would write them down and sketch. He sketches as fast as we can spout out the numbers. We made quick work of the sump room and made our way to the parallel room. The parallel room was where we intended to find a way around and up to the upper passage. After surveying the room we crawled around the flowstone edge to the upper dry passage me and Jason had looked at before. Chrissy went ahead to crawl through some breakdown and attempt to get into that upper level passage. We heard some yelling, something like "it's big" and we stopped what we were doing to go take a look. Through some breakdown and a small climb-up was short wide passage that eventually took us into an incredibly beautiful formation room. A pristine, paper thin rim stone pool, alongside an enormous magnesium (I think) blackened column set the background of what we saw. After a little more snooping Jason and Chrissy saw a significant down climb (handline likely needed) amongst the breakdown that led to a lower passage. Through the breakdown Jason claimed he heard what sounded like a river or waterfall below, suggesting some significant passage lay ahead. Jason insisted we stop scooping, and head back to finish survey up to this new formation room. We managed to survey up to the formation room, perfect place to leave off and continue on the next trip. We headed back and put all our dive gear on to head back out. Jason still had to finish some sketching in the underwater passage beyond the sump room. So we left him to his devices and made our way out. Total time in the cave was just over 7 hours. We ended the day with some well deserved BBQ before making my 4.5 hour drive back to KY. Well worth the 9 hours on the road.